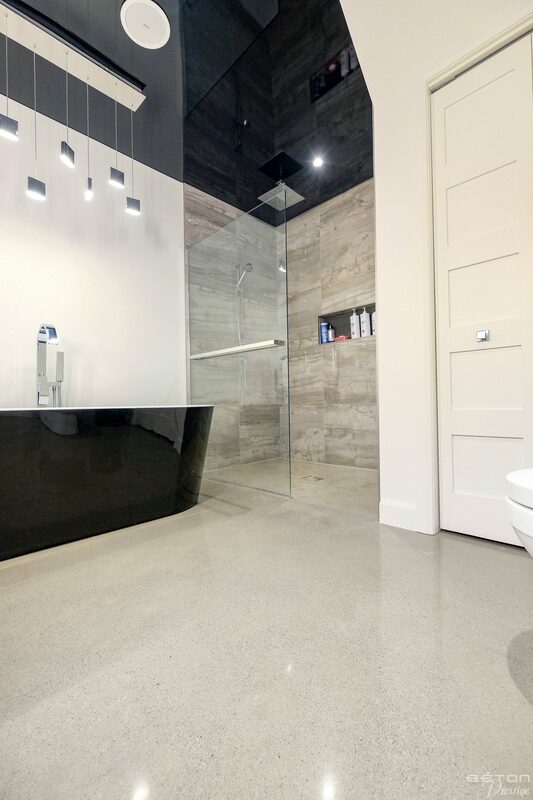 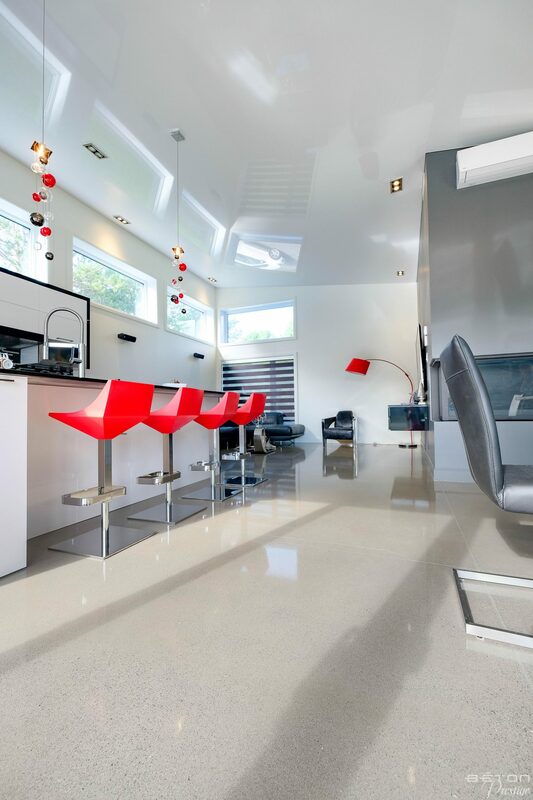 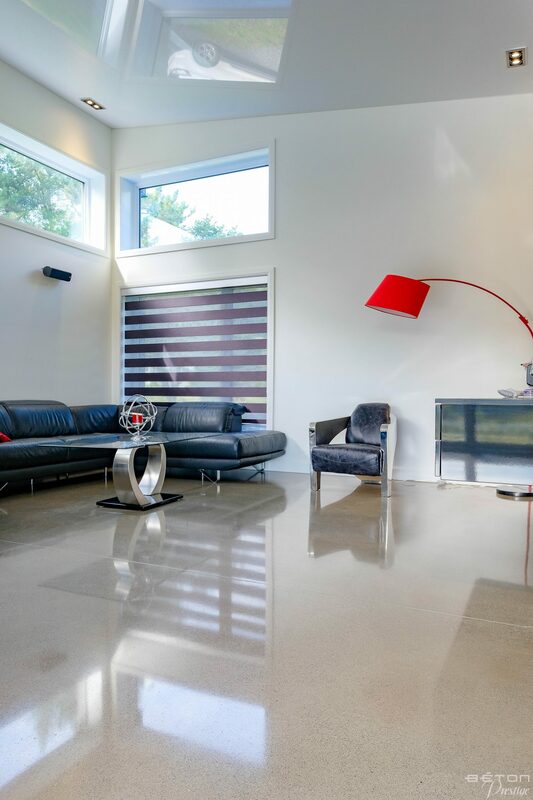 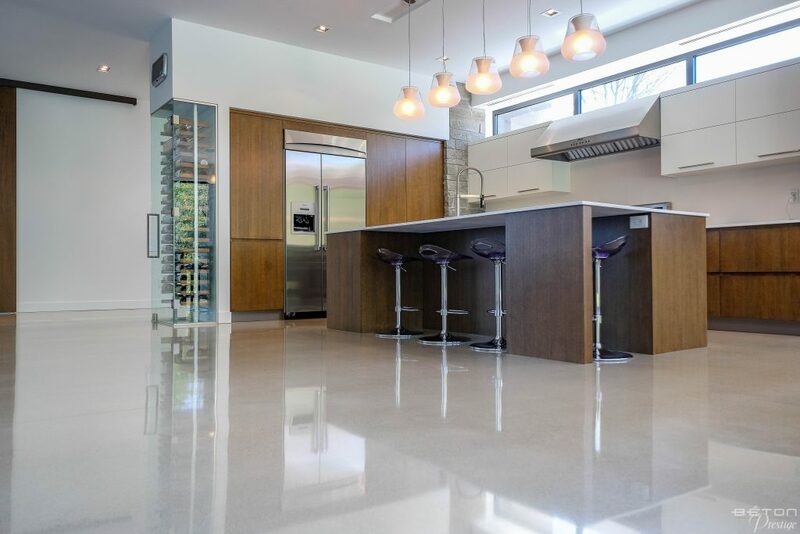 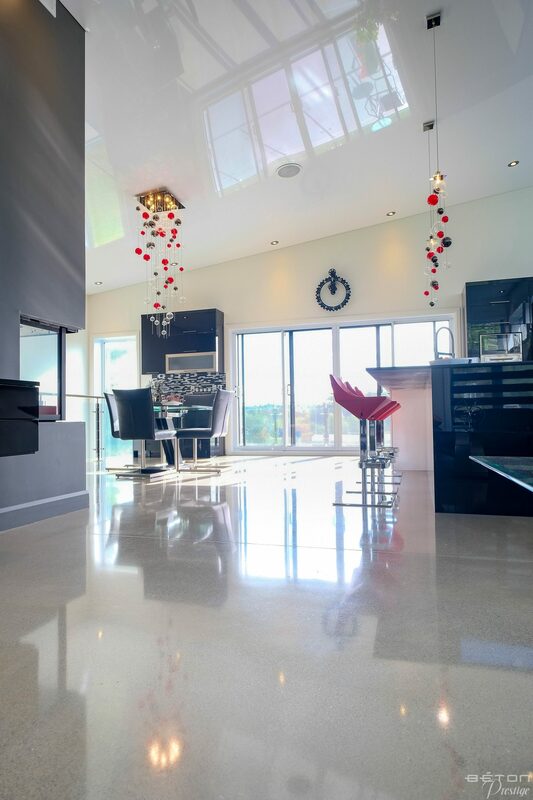 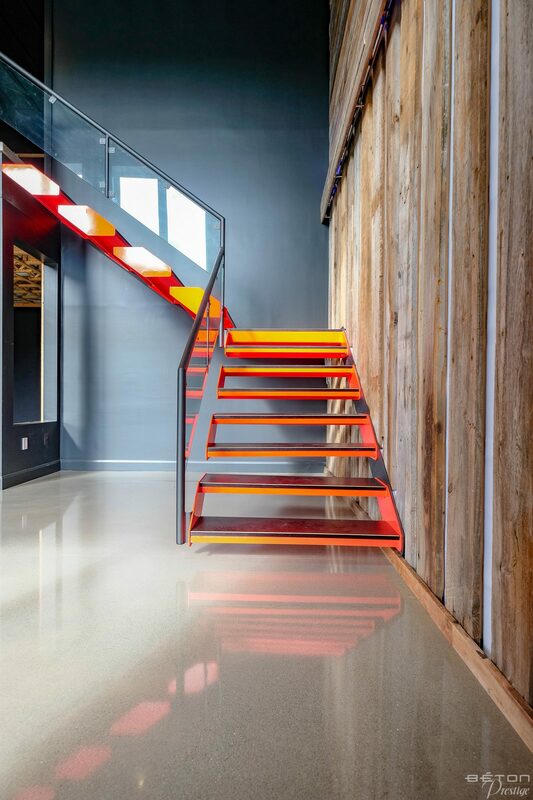 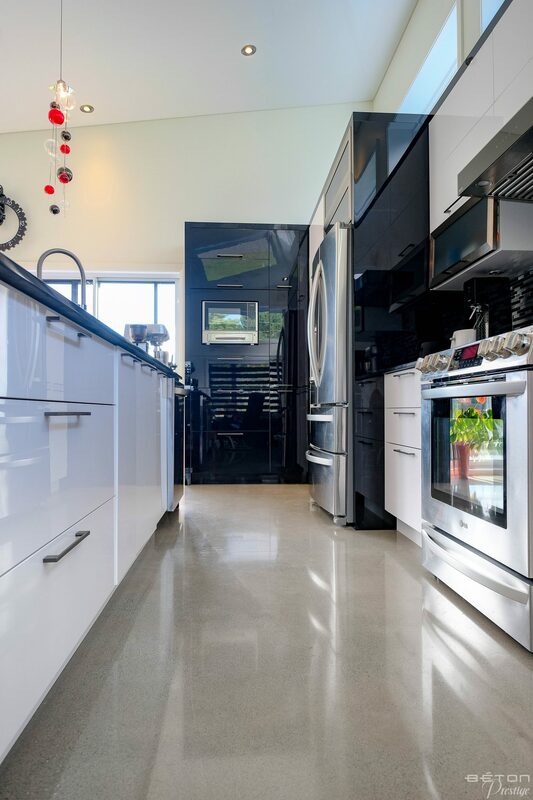 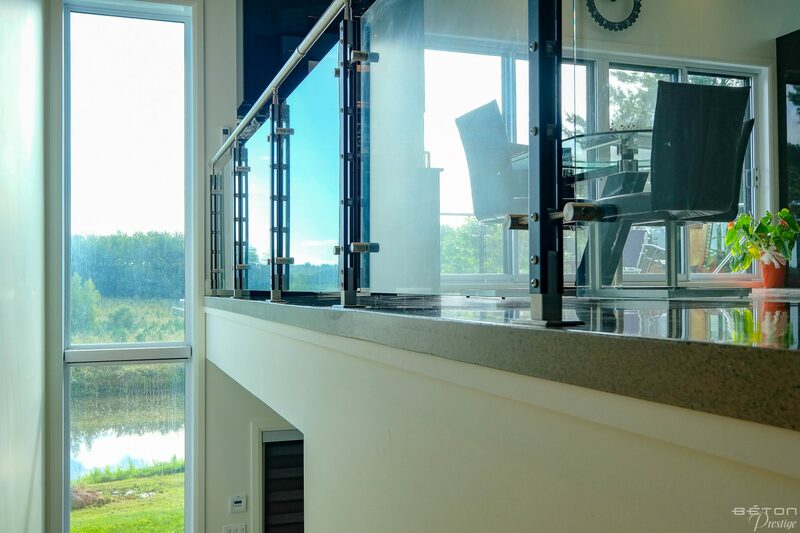 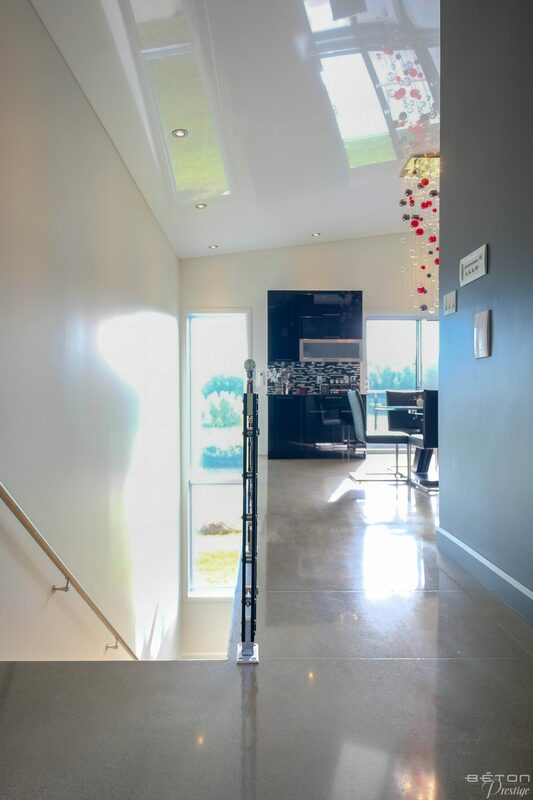 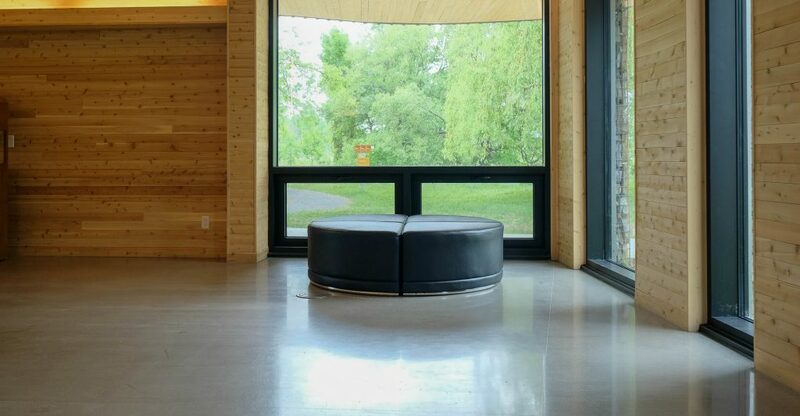 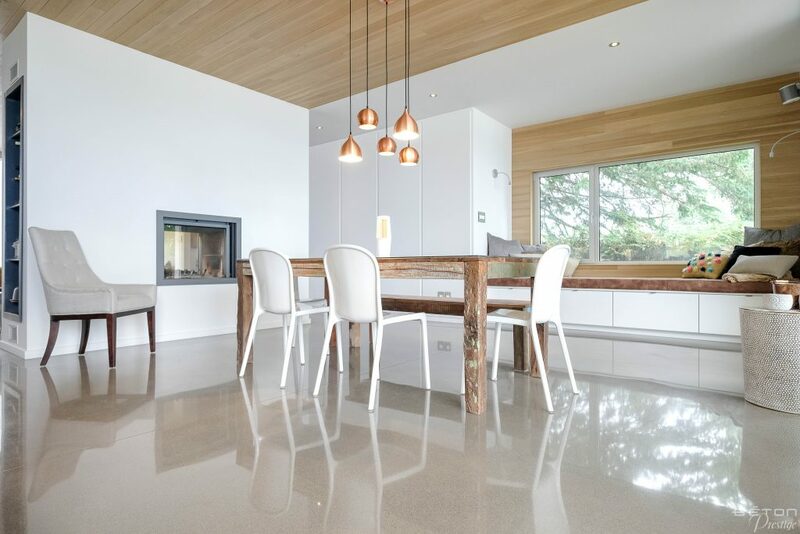 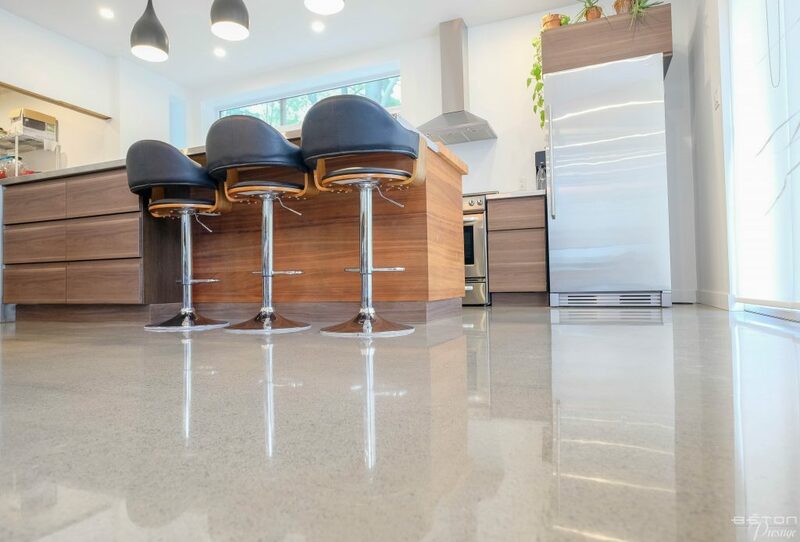 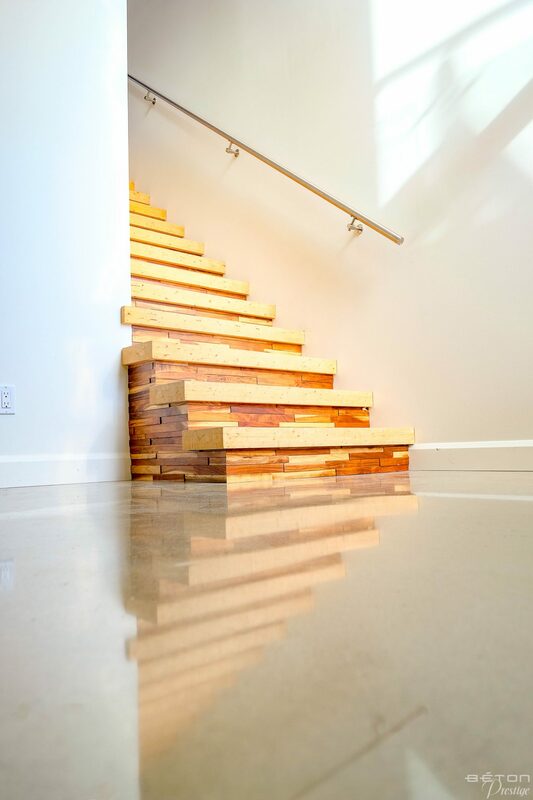 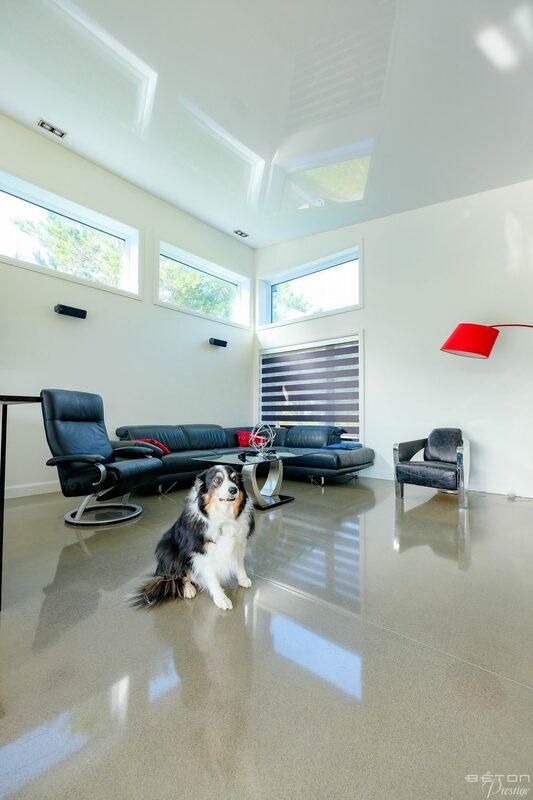 The polished concrete floor of this residence in the Centre-du-Québec region, installed on two (2) floors, matches perfectly with the contemporary style of the primary living environment. 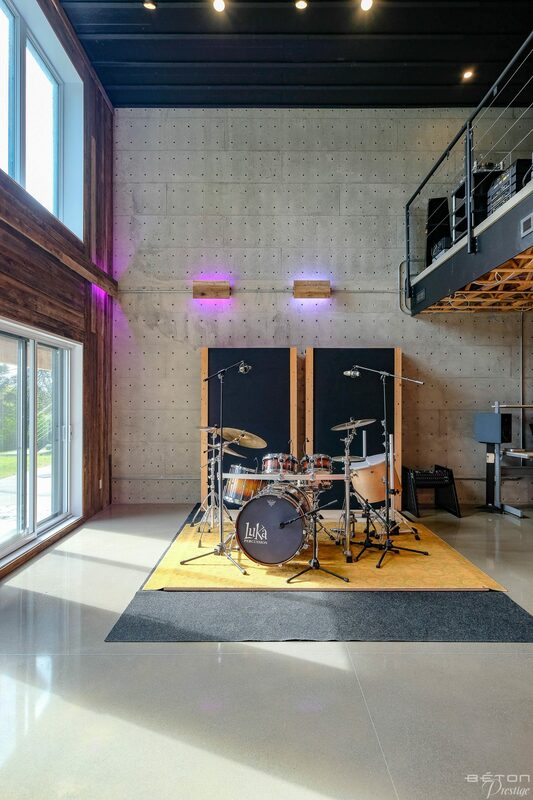 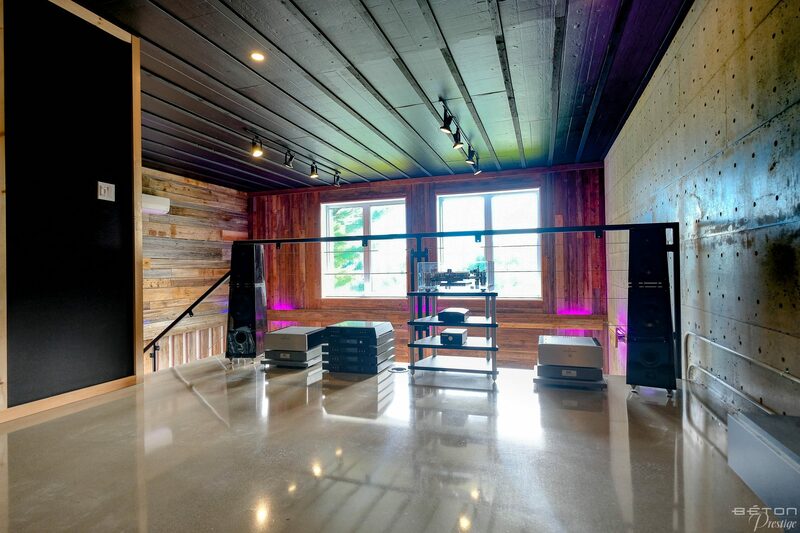 The special feature of this residence can be found in the recording room. 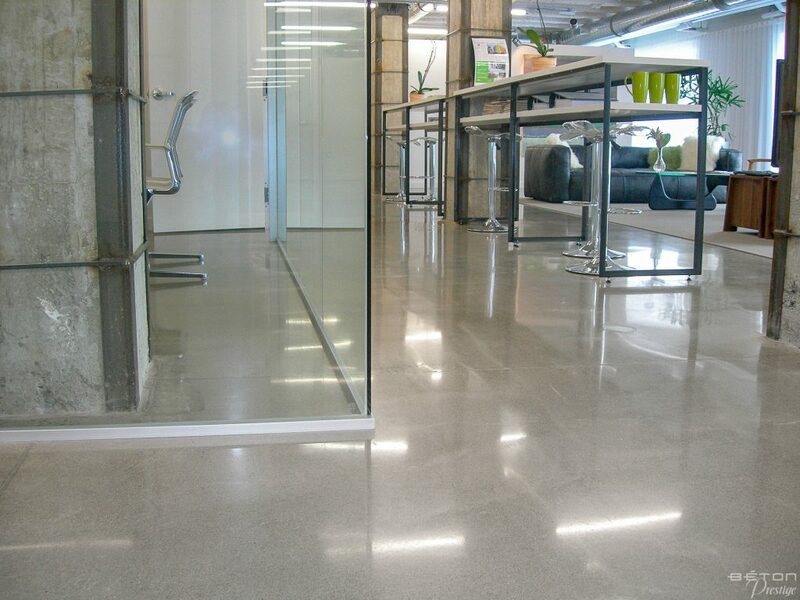 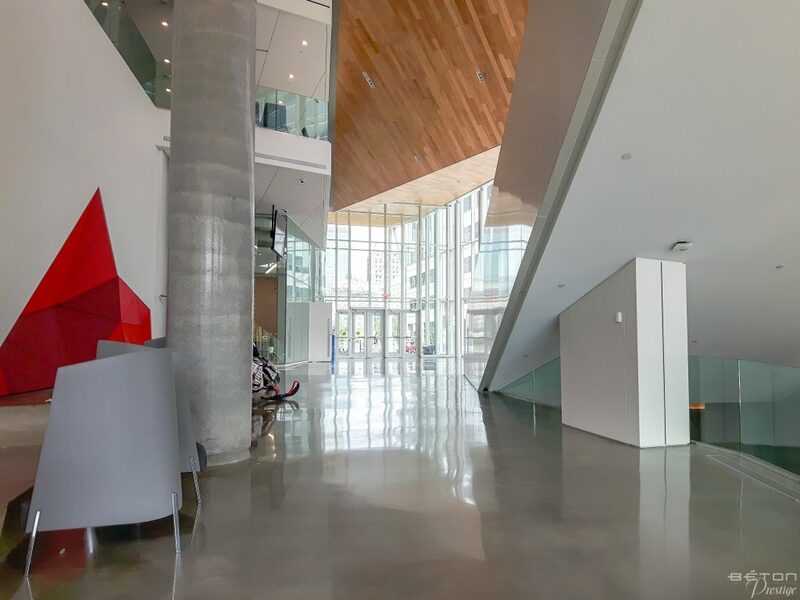 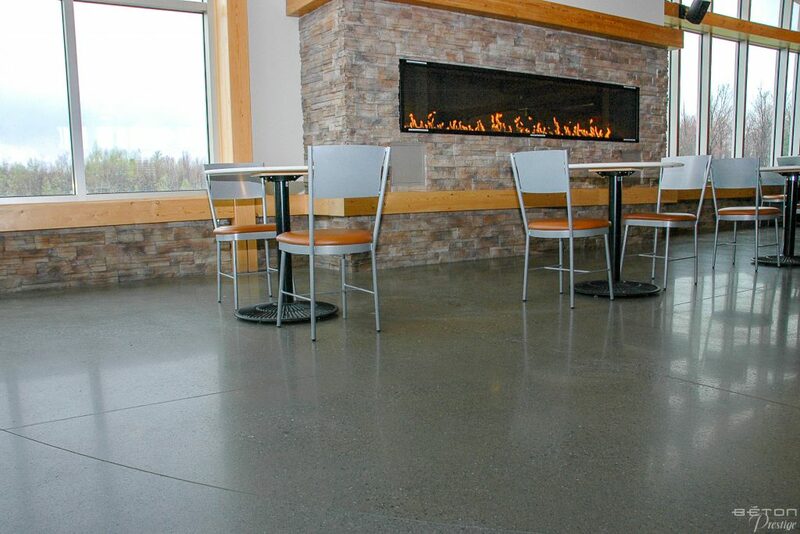 The mixture of styles is enhanced by the polished concrete floor and by the superb concrete wall embellished by machine cleaning and the application of an anti-dust sealer. 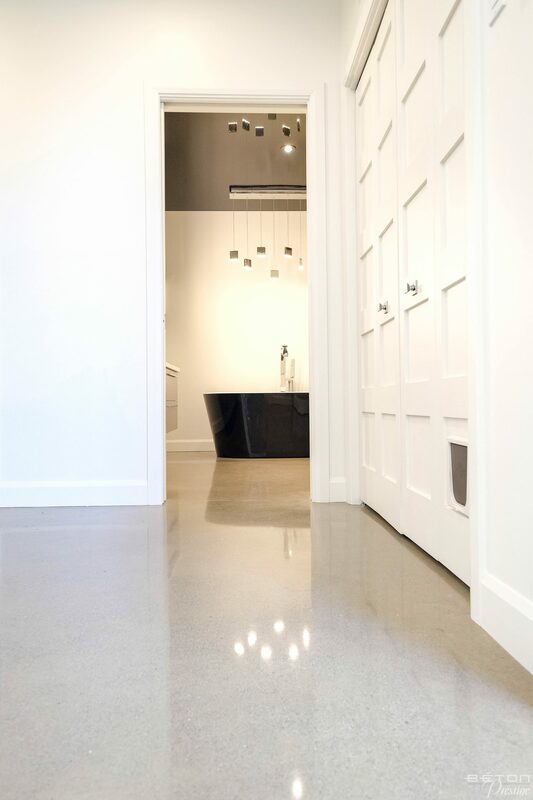 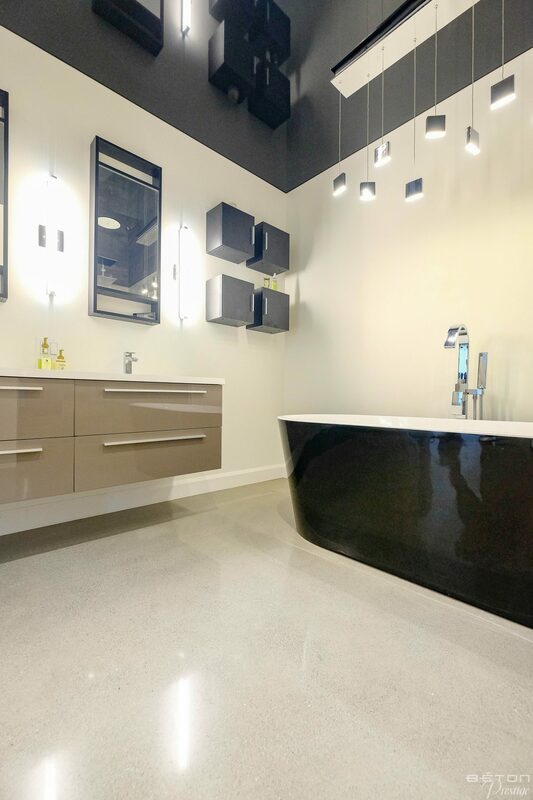 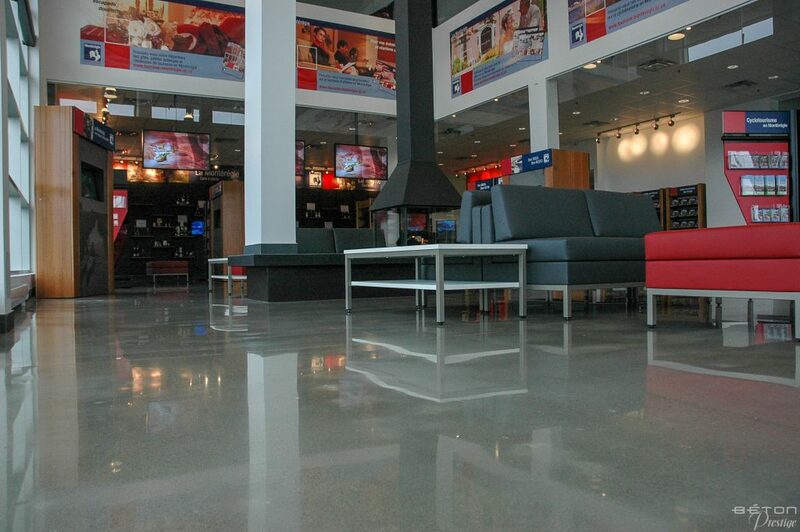 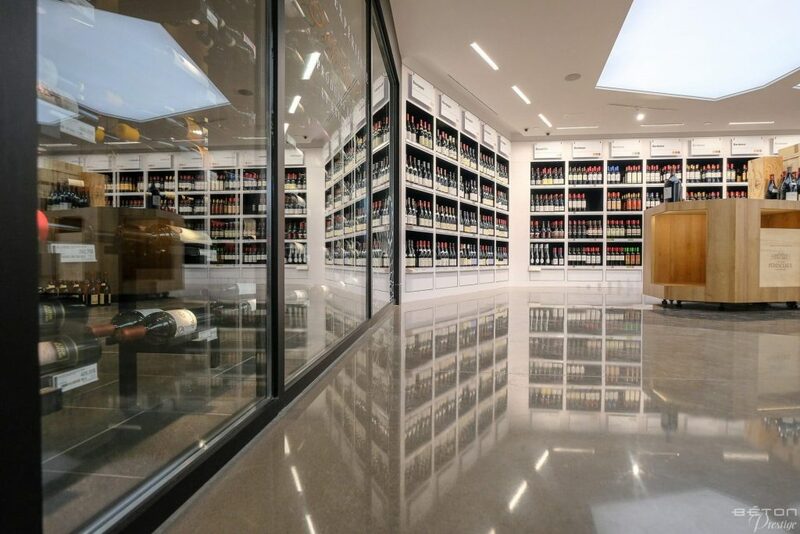 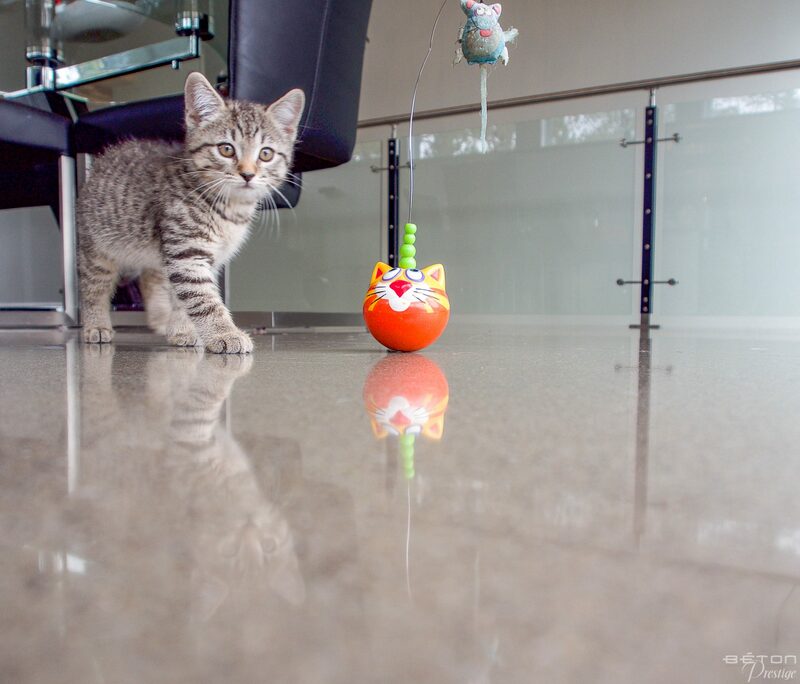 Béton Prestige, the Master of the Art of Polished Concrete.